It remains to be seen what April will bring for “In My Kitchen,” but here’s what showed up and happened last month. 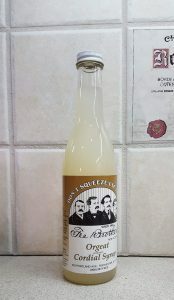 First, there is orgeat syrup. This stuff is fantastic in coffee (and hot chocolate) but I want to experiment with it a bit in baking. 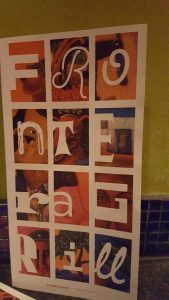 Menu cover from Frontera Grill in Chicago. 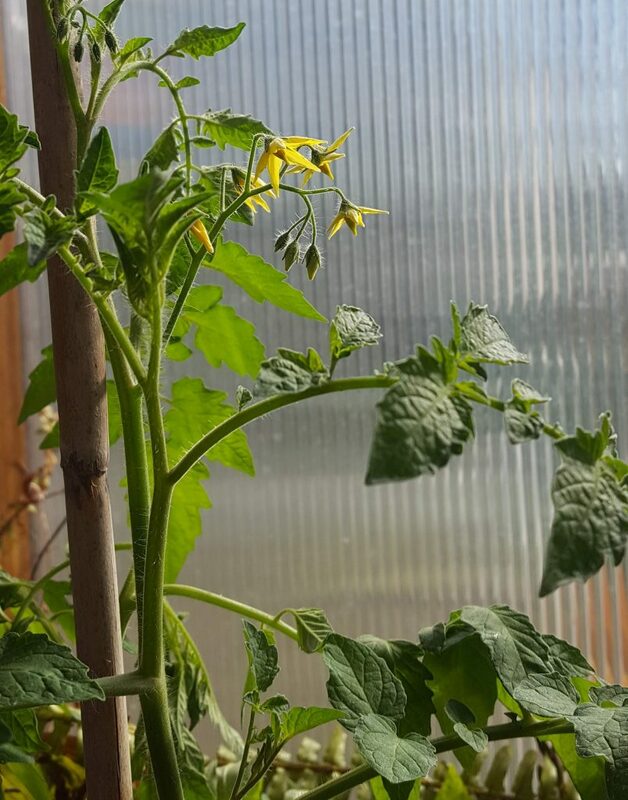 As far as things that I hope get to my kitchen….here’s a garden update. 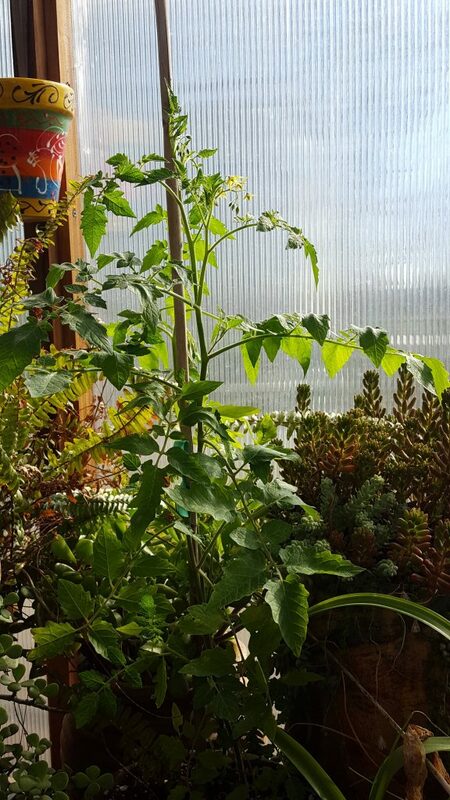 There was a surprise, a volunteer tomato that I recently found growing in a pot in the green house. The tomato is more valuable to me, so I roughly dug out the succulent that it had infringed upon and am now carefully awaiting the days I can move it outside. 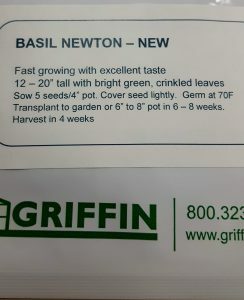 Besides wishing for fresh tomatoes from the garden in my kitchen (SOON), I was recently introduced to a new basil variety—Newton. I got a free package of seeds at a gardening lecture. (I hope to post more about that later.) 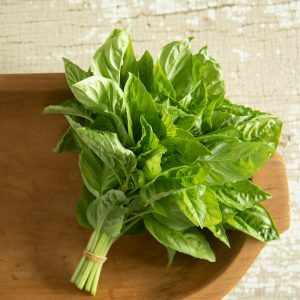 It’s a fast growing large leaf basil with crinkled leaves. Just planted it last weekend. I also have some Tulsi babies in the green house. 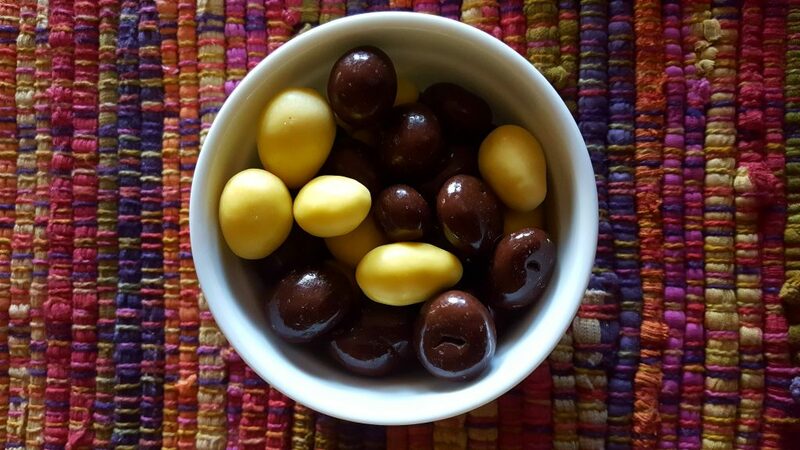 The Hubs created this snack mixture, mixing lemon yogurt covered almonds with dark chocolate covered cranberries. Weird but amazing! 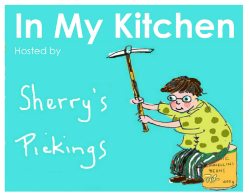 “In My Kitchen” is hosted by Sherry at Sherry’s Pickings. For all my “In My Kitchen” posts, click here. Mixing coated almonds and coated cranberries sounds delicious to me! I’ll keep it in mind next time I have a choice of that type of candy. Meanwhile, I’m jealous of your basil. It looks delicious and very healthy. Have a great April! Healthier than candy, that’s for sure. I hope you mix some of this mix up! I love a volunteer tomato. We had one growing in a put out the front and similarly, I was more interested in the tomatos than the plant it was in. Ha ha – I thoughts those almonds were olives. I have a grape schiacciata on my IMK that also looks like olives. I use have them on the brain. I definitely have tomato envy, as well as greenhouse envy. I tried growing tomatoes last year in half wine barrels but it is too cool and foggy during the summers. We have plenty of showers so far this month though. Loved you post. Tomatoes are finicky souls. We had great luck last year with Black Cherry. I hope they’ll be kind and want to grow this summer. Lots of good stuff in the kitchen. Your volunteer tomato looks very healthy. We still hoping for warmer nights here as well so that we can start planting. I’m going to try your husband’s little snack. Sounds yummy! 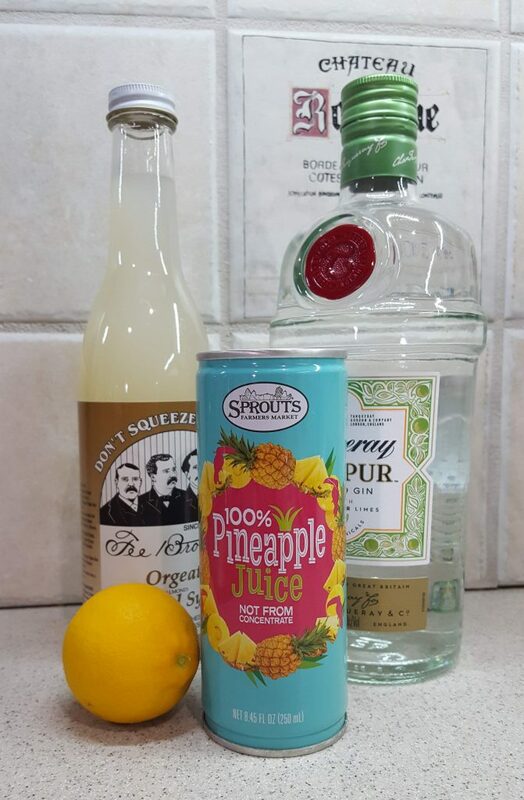 I am loving the idea of the Hawaiian Cocktail. Checking that link out soon. You have such a green thumb! I am jealous. Our tomatoes and basil never look as good as yours. Seriously, we have 4 acres of cleared land and if something can eat our plants, it will. I always start out with a green thumb and then often things go awry! 🙂 I have a good start again and hope to be more dedicated this year with weeding and watering.